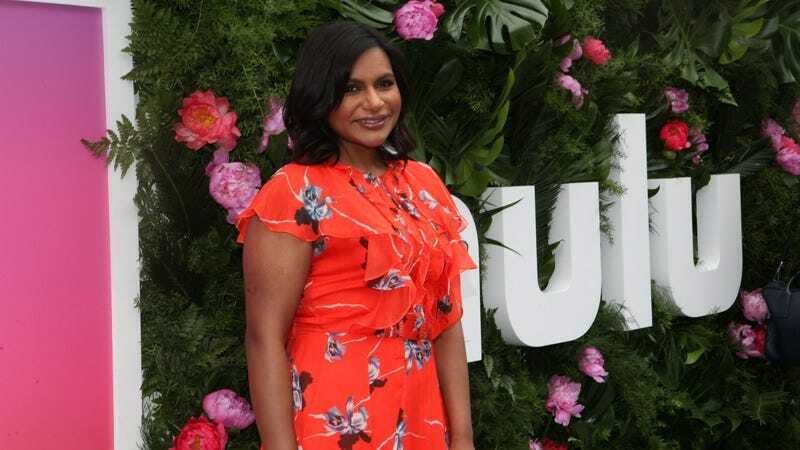 Although The Mindy Project still has one season left in its tenure on Hulu, Mindy Kaling is about to score a second concurrent TV series for herself. Deadline reports that NBC has picked up Kaling’s Champions, on which she produces, and is set to recur in a guest-starring role, for a first season. Written by Kaling and her fellow Mindy Project producer, Charlie Grandy, the series stars Workaholics’ Anders Holm as an aimless gym owner living with his “gorgeous idiot” brother (Andy Favreau) when Kaling, playing an old high-school flame, drops his teenaged son off on his doorstep. Will these two dudes be able to maintain their toned bodies and rep counts while dealing with the burdens of fatherhood? Time, presumably will tell. NBC went relatively light on its comedy pickups this year; it grabbed Seth Meyers’ A.P. Bio earlier this week, but the only other sitcom project on its slate, Tina Fey’s Sackett Sisters, is still waiting on an answer from the network.